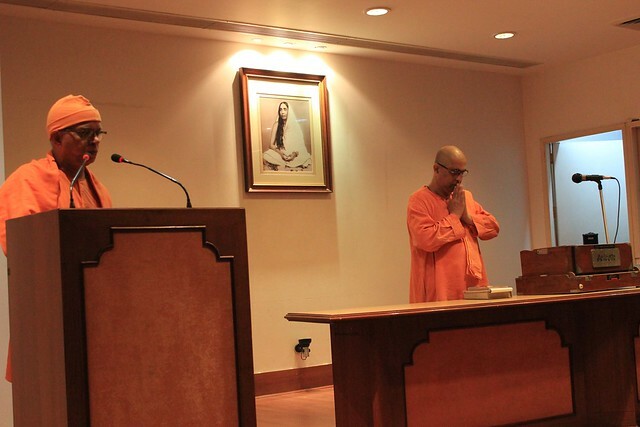 Swami Jyotiratmananda ji, Ramakrishna Mission, Aurangabad, spoke on साधक और अध्यात्मिक जीवन i.e. 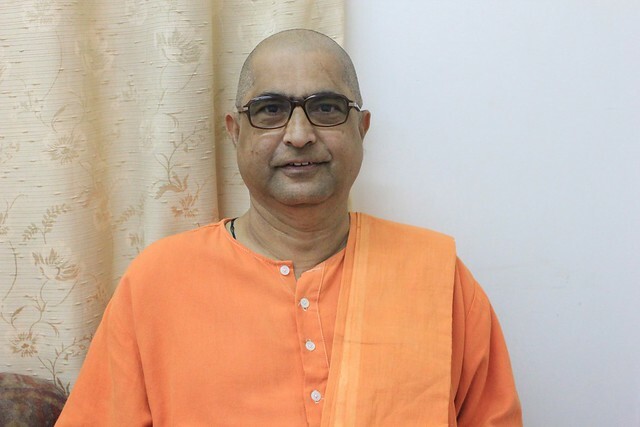 Spiritual Aspirant and Spiritual Life. 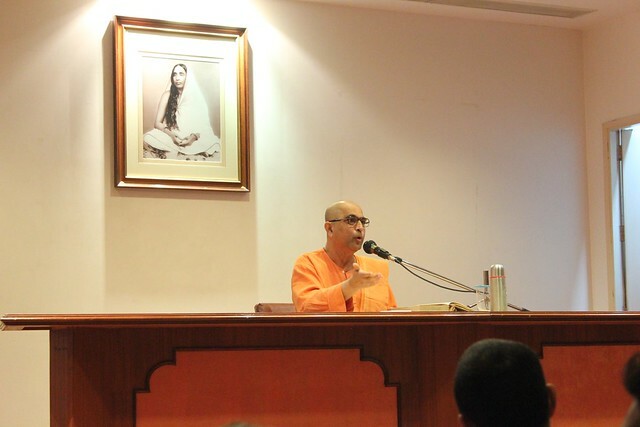 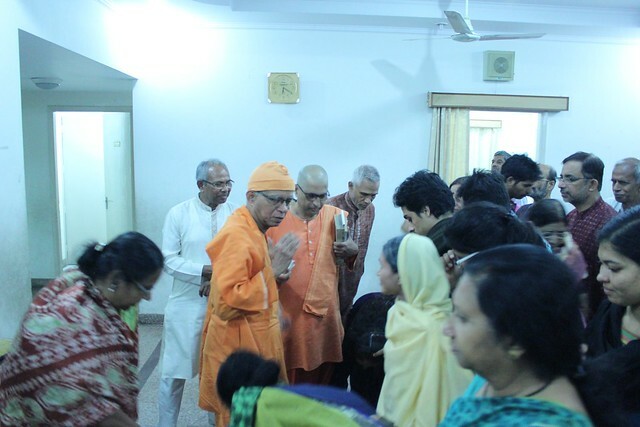 The discourse was delivered on 1 November 2015 at Sarada Auditorium, Ramakrishna Mission, Delhi. 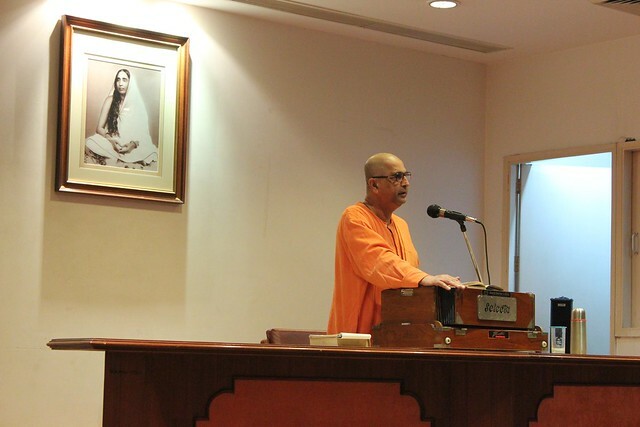 Swami Jyotiratmanandaji, a trained Hindustani classical musician, also rendered the opening and closing songs.